Comfort and adventure are typically not shared, but you'll get them both when you travel with this 5th Wheel! 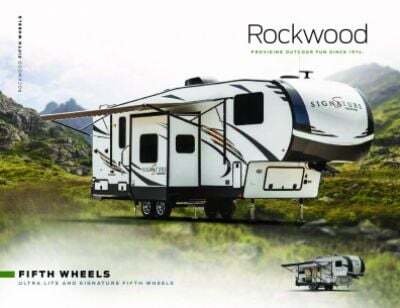 The 2020 Forest River Rockwood Signature Ultra Lite 8299BS is an outstanding RV, and it's available now for a low, low price at All Seasons RV! We're one of the largest RV dealers in the Midwest and number one in customer satisfaction! You can stop by our lot at Muskegon, or have our 24/7 nationwide delivery service bring this RV straight to your door! Call us today at 231-739-5269 to start your RV lifestyle! This model is ready for the road, with its hitch weight of 1581 lbs. and sturdy GVWR of lbs! Once you've reached your destination, pull out the 12' 0" awning with ease for ample shade and comfort! 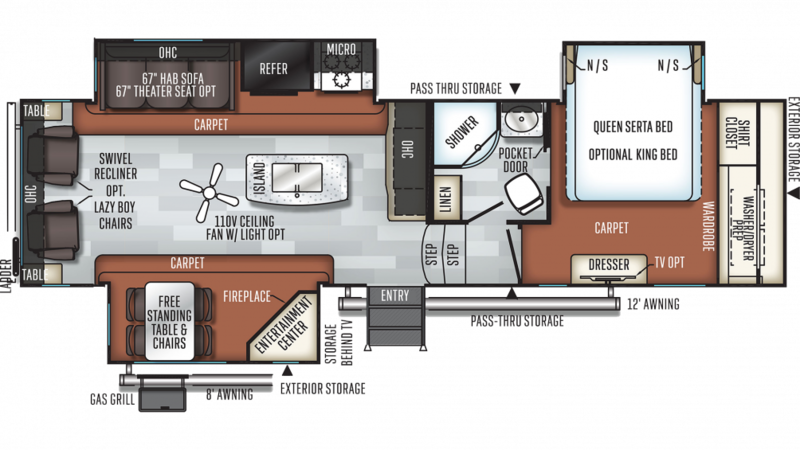 You'll love the ample space inside of this 5th Wheel, which is 34' 1" long, 8' 0" wide, and 13' 0" tall! Plus, the interior keeps a stable temperature too! The climate is controlled by the 13500 BTU a/c unit and the 35000 BTU furnace. If you love to cook, you won't have to give up your hobby when you're on the road. The fully appointed kitchen comes complete with such great appliances as a 3 burner range cooktop that will let you whip up fish, chicken, steaks, and eggs - all the family's favorites! And the 12.00 cu. ft. refrigerator will hold meats, fruit, veggies, cheese, and cold drinks close at hand! Cleaning dishes is easy thanks to the 60 gallon freshwater tank.